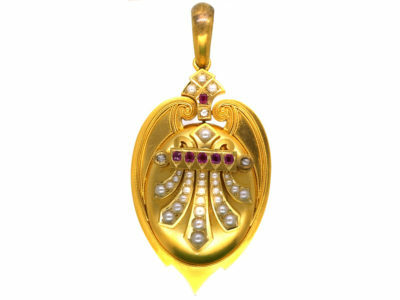 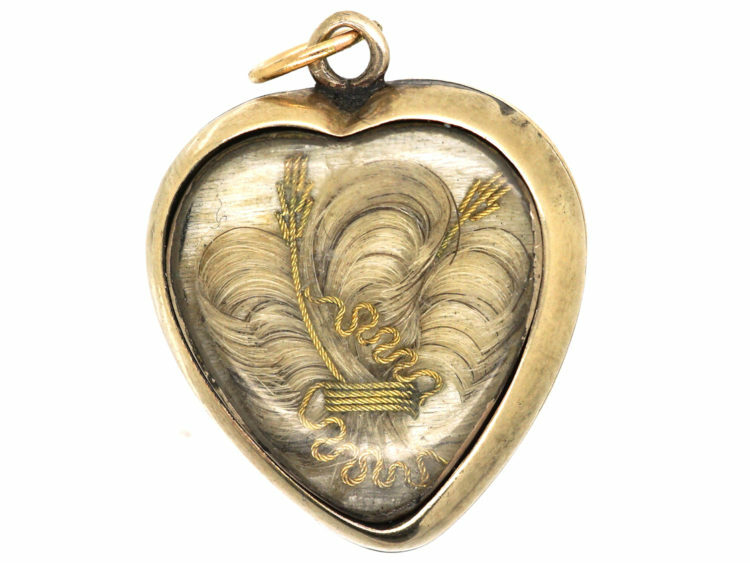 A pretty heart shaped pendant with a locket section on the reverse containing a lock of hair with gold thread around it. 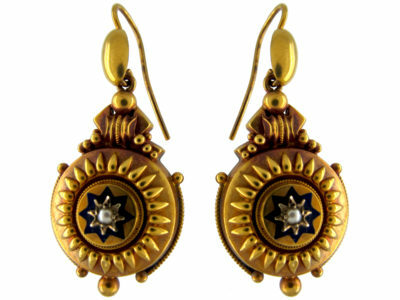 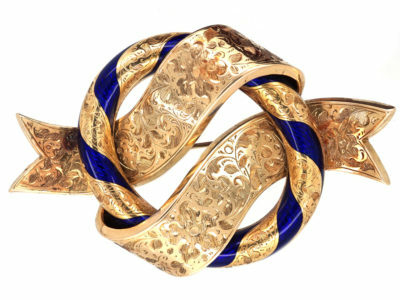 It is a mixture of 9ct and 15ct gold. 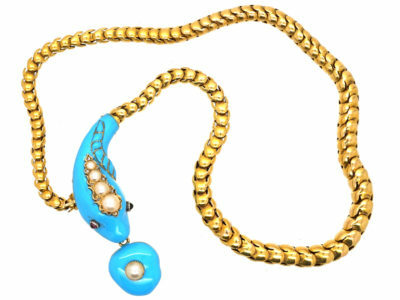 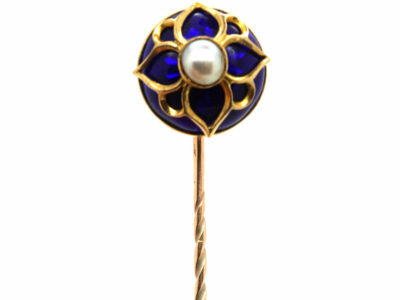 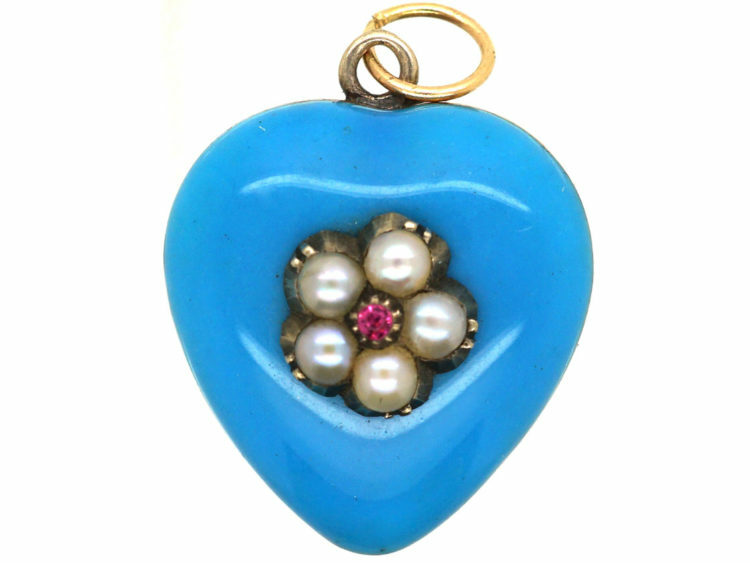 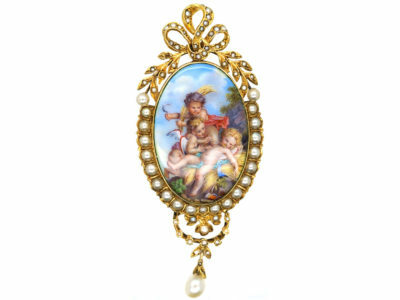 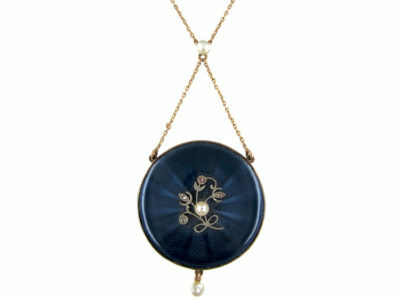 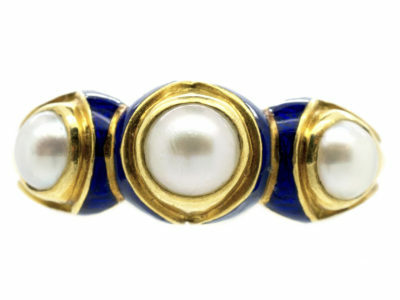 The front is turquoise blue enamel with a natural split pearl cluster with a tiny ruby in the centre, that represents a “forget me not” flower. 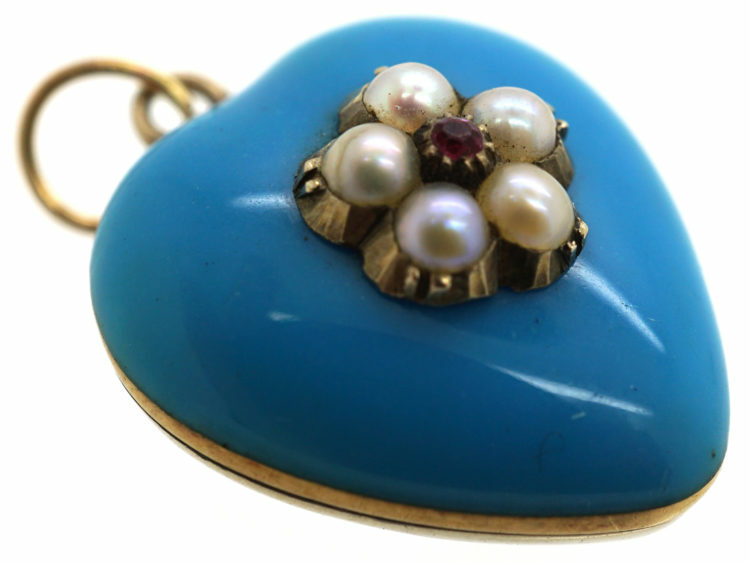 The colour of the enamel underlines the “Forget me not” theme. 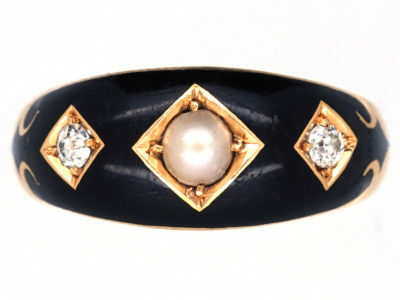 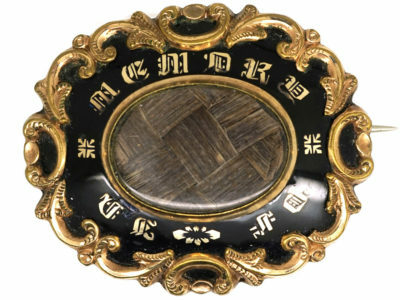 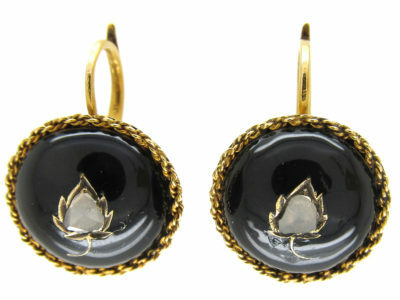 So it was most likely a mourning piece of jewellery that was made circa 1860-1880. 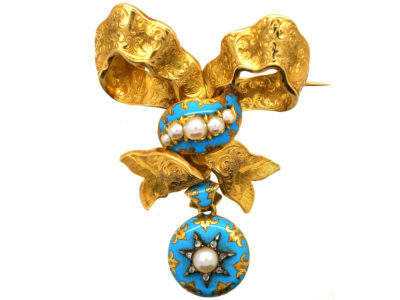 Condition Very Good, the forget me not has since been straightened!